Cubital Tunnel Syndrome (QTS) is a common problem in flutists, yet it is not as well known as Carpal Tunnel Syndrome. This is the second most common nerve entrapment disorder, after Carpal Tunnel Syndrome, and is frequently seen in flute players, especially in the left arm and hand. The typical causative factors are repetitive movement, coupled with the posture and positioning of the left arm. This problem arises from the repeated bending and straightening of the elbow or prolonged bending of the elbow, putting pressure on the nerve. Cubital Tunnel occurs when the ulnar nerve is caught, or entrapped between the bones, tendons, ligaments, and other tissues in the elbow. 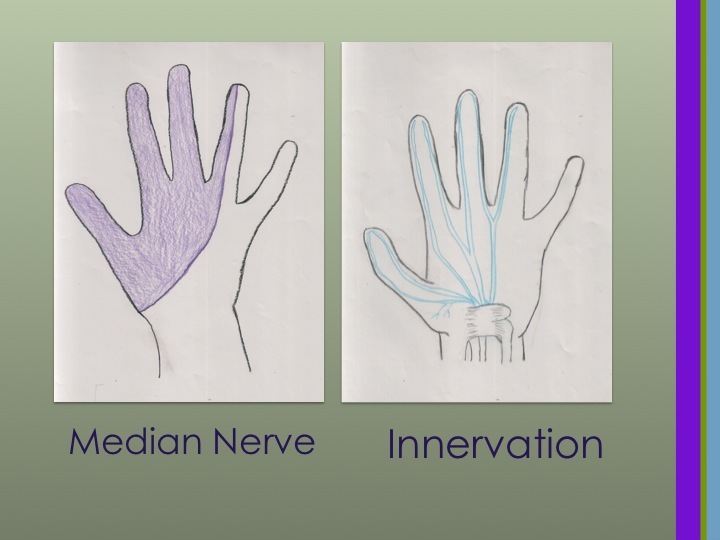 The ulnar nerve innervates the fifth finger and the fifth finger side of the fourth finger (called the ulnar side). The ulnar nerve is what most people recognize as the tingly sensation you have when you ‘hit your funny bone’. Flute players are prone to developing this, in the left arm, because of the way we stretch that arm when we hold the flute. (String players get in in their bow arm, because of the same type of positioning). Posture can play a role, especially if the flutist is holding the left shoulder higher, which stresses the muscles, causing inflammation in the areas that surround the nerve even more. This will lead to swelling which causes an increase in the pressure on the nerve. The main symptoms of QTS are pain in the elbow, and along the path of the ulnar nerve. This will result in numbness and tingling in the fifth finger and the side of the fourth finger that touches the ring finger. If QTS is left untreated, it will result in the loss of function in the small muscles of the hand. The tests used to diagnose QTS are the same as for Carpal Tunnel. 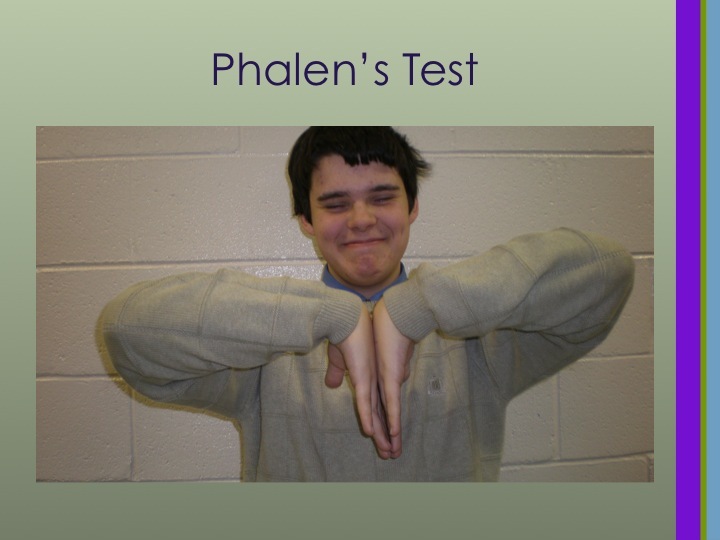 The Phalen’s test is not going to diagnose QTS, but will assist the flutist, or teacher, in knowing when to seek help. When performing this test, we hold our wrists in a flexed position for 30-60 seconds. The back of the hands should be touching. It looks similar to mirror image of praying. If you have any nerve impingement, it causes numbness and tingling. The numbness and tingling does not have to be dramatic, so if you experience any, you will need to address it before the damage becomes severe. Another test to assess for QTS is to tap over the nerve in the affected elbow. It is considered positive it the causes tingling in the elbow or fingers. You can actually palpate the nerve in the elbow, or the ‘funny bone’, which will cause pain, tenderness, or tingling in the affected fingers. These are not meant to take the place of seeing a health care provider. Instead they can help us in managing the condition, and knowing when we need to see a health care provider. So what do you do if you think you have QTS? 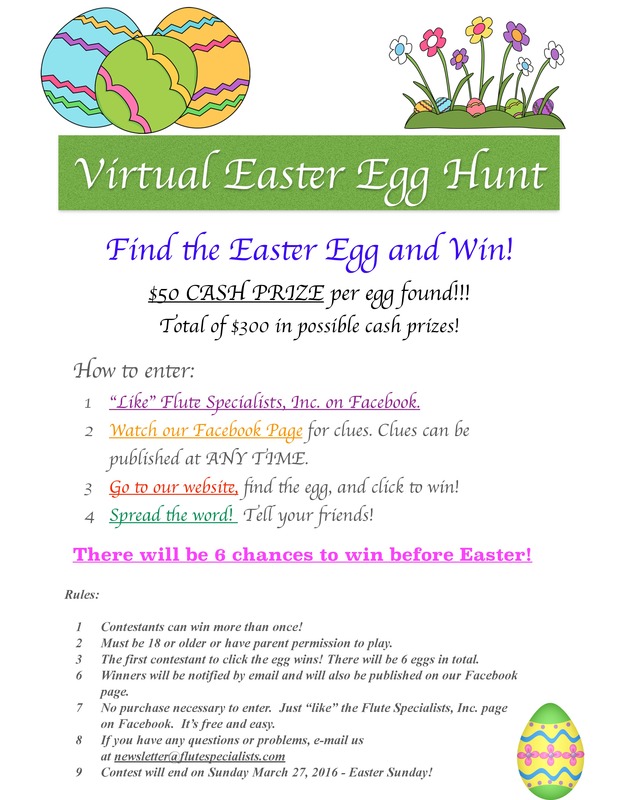 Untreated, it will progress to loss of function, which could limit or end the ability to play. Consequently, it is very important to get to a medical provider that is knowledgeable about these type disorders in musicians. The exact course of treatment will depend on duration of the problem, causes, and severity of the nerve compression. There are many treatments that you can do at home, and should do as soon as you suspect you might have QTS. It frequently takes a while to get an appointment, so these things should be done while you are waiting. Easy treatments at home are the use of ice, and splinting. Ice will help with the swelling, and the pain. The splints are not as easy to find as those for Carpal Tunnel, but they can be found online. 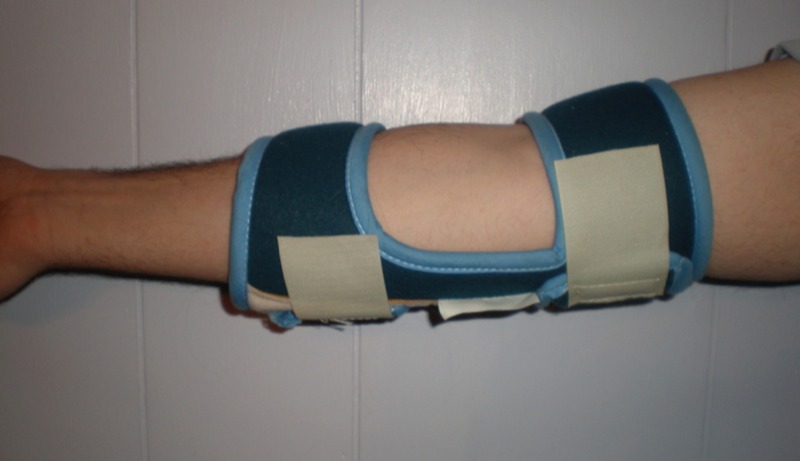 A suitable splint is anything that will keep the elbow straight, especially while sleeping. Non-steroidal anti-inflammatory meds, such as Ibuprofen, Naprosyn, or Tylenol, might help, but are not as useful as in Carpal Tunnel. Stretching before and after practise sessions or concerts will be very beneficial. Complementary treatments, such as therapeutic massage and acupressure can provide significant relief to the areas that are inflamed and causing pressure on the ulnar nerve. Any musician that has QTS should limit playing sessions to no more than 25-30 minutes, followed by a break. A flute with an offset G will be advantageous, since it lessens the stretching of the ulnar nerve, especially in someone with smaller hands. 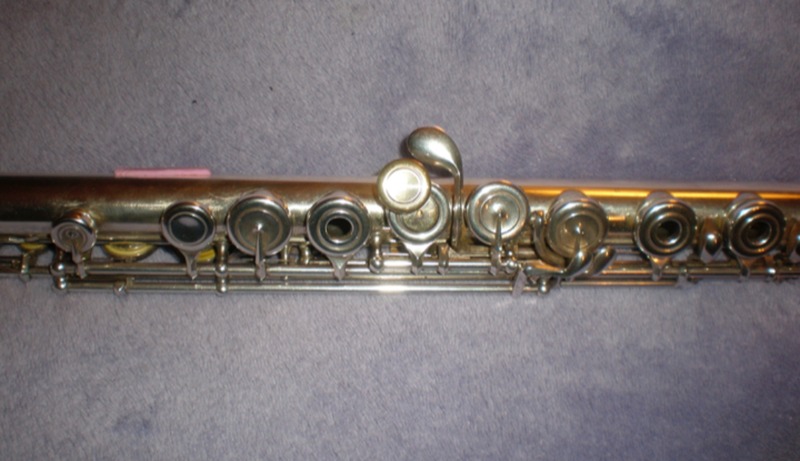 There are key extenders you can purchase for the flute that extend the G key, which can help alleviate the stretching of the nerve also. One of the tests that is done to assess the damage to the small muscles is a non-invasive test called a Nerve Conduction Test. This test will be useful in treatment decisions. Upon completion of appropriate testing and evaluation, and if conservative or complementary methods fail, surgery may be necessary. There are several different types of surgery that can alleviate QTS, and which one performed would be individualized. Even with surgery, if the problem has been untreated and allowed to linger, there can be loss of function, which will be permanent. This is why it is so important to find a provider as soon as you notice symptoms. While this is very frightening for the musician, it can prevent worsening of symptoms, and permanent loss of function. The best treatment is to avoid the problem. This means correcting bad posture, and hand position, before it causes an issue. 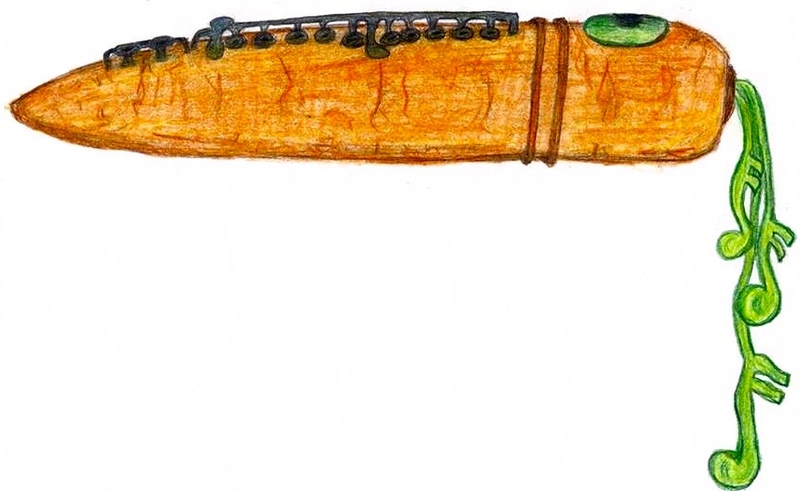 Small hands benefit from a flute with an off-set G. Seeking the advice of a teacher can help with finding a flute that fits the hands, posture and hand position. Another important point to remember is that there are many tasks we perform that can aggravate this problem. Gardening, washing dishes, computer work, and certain sports can aggravate QTS. Avoidance of the non-musical activities is very important in recovering from this problem. Try the easy things (ice, NSAIDS, splint) while waiting to see someone.